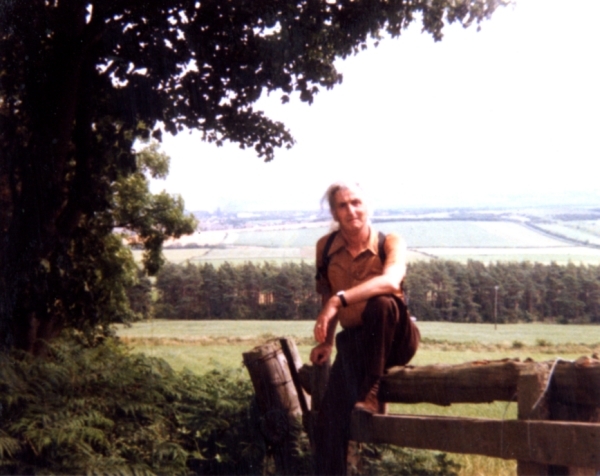 This site has been missing a dedication for far too long and is hereby dedicated to Mr. Keith Coulthard, without whom there is no doubt at all it would never have existed. Keith lived nextdoor to me throughout my childhood and encouraged my parents to upgrade my Vic-20 to an Acorn Electron because he already had quite a large games collection that he could share with me. In many ways, Keith was the original architect of Acorn Electron World. He transcribed many of the listings that eventually became the companion discs on this site, and collected the instructions and passwords for many of the professional releases here. Not to mention all of the programs that he archived that otherwise might have been lost forever. And, of course, it was his actions that got me interested in the Acorn Electron in the first place. In fact, during my childhood years, my parents used to moan that I spent more time in his house than my own! Unfortunately Keith died just before I became involved with the Electron User Group and the internet made our endeavours available to everyone. Therefore he never got to see the fruits of his labours in digital form. No doubt he would be staggered by the ease and speed at which everything is now available, and he would probably have contributed much more to the project than you could possibly imagine. We do! And we have other sites! Personal Computer News, an on-line archive of new web versions of the Eighties mag, featuring loads of type-in programs, software and hardware reviews for Atari, BBC Micro, Dragon 32, Commodore 64, Amstrad, Spectrum and MSDOS machines! Dragon 32 Universe, established 2012, is our attempt to build another Acorn Electron World - for the Dragon 32. Featuring a shop, screenshots, videos and information on Dragon 32 games, we also sell a DVD similar to the AEW one, containing all the games we've currently archived for this little-known computer. , and thank you for visiting Acorn Electron World. We are the only dedicated Acorn Electron website on the Internet. Here you can find information on every single game ever released for the machine, download tape images of all popular games, read and watch reviews of the games themselves and order our DVD, featuring a staggering 3,700+ disc images - with full instructions and User Guides for everything. In 1983, Acorn Computers produced a home computer modelled on a cut down BBC Model B. It was called the Acorn Electron, it boasted a mammoth 32K of memory and came in a frighteningly alluring shade of beige. It sold for about £200 on launch (A figure which may seem a lot but competed well with rival machines of that time) and came bundled, from most suppliers, with five Acornsoft games, the User Guide and a data recorder. A machine of infinite expansion potential, it was overshadowed simply because it was not as powerful as the BBC Model B. Over the years, thousands of additional games were developed for the Electron, and many miraculous hardware expansions were produced to upgrade its capability. A number of monthly magazines supported it, and a thriving User Group ensured new software was written for it right up until the end of 2010! All of this history could simply have been lost. But it has not been, because Acorn Electron World has preserved it. Everything - every game, article, review, information leaflet, leaflet, magazine, hardware expansion, ROM and ROM cartridge - we've found it all and transferred it to one huge archive. This site features only a small proportion of what is available. Enjoy the few items it showcases - then for more than you can possibly imagine, order the Acorn Electron World DVD. This features answers to any practically any question about the Acorn Electron you may care to pose. All the tape and disc images carried by this site can be transferred to a real Acorn Electron, if you still have one. Whilst the tape images will allow you to play many of the games of your childhood, you simply cannot beat the ease of disc images - all of which are available on the DVD.